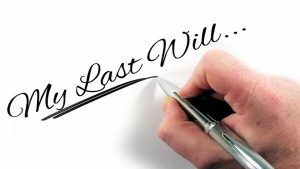 There are many ways for a Will or deceased estate to be contested, especially if there is no Will at the time of death for the deceased. A very important point to keep in mind for anyone making a Will is that the Court is allowed to intervene where a certain person is excluded from a Will. If a family member, or dependant, feels that they have been excluded or not properly provided for, they can bring a Family Provision Application and contest the Will. A Family Provision Application is one of the most common ways for a Will or deceased Estate to be challenged. It is very important to understand that not just any person can bring an application for Family Provision. Ensuring that you are entitled to make a claim against a Will is the first step however, just because you are entitled to make a Family Provision Application doesn’t mean you are going to be successful in challenging and disputing the Will. Experienced and expert legal advice needs to be obtained. What are the factors a Court considers? The character or conduct of the applicant. How can my Will be challenged? A person you had a responsibility to provide for, believes that you have not left them a fair share of your assets. Additional grounds for challenging a Will? How to contest a Will and what can I do? Preparing and making a Family Provision Application is a very complex process and a serious issue that you should discuss in depth with an Estate Litigation Lawyer. Expert advice is a necessity when considering making or responding to a Family Provision Application. Are you looking at contesting a Will? If you have any concerns in relation to an estate or are considering contesting a Will, you should seek legal advice from us as soon as possible, as time limits do apply for many Family Provision Applications. It is best to have a dispute addressed and resolved before the assets of the Estate are distributed. We can take action to make sure that the assets of the Estate are protected while the dispute is being resolved. Ensure you contact our Wills and Estates team today if you are wondering about Contesting a Will.